Hughes and Salvidge have been working at the former Bargate Shopping Centre in Southampton since November 2017. The project has a very specific complexity to it as portions of the building earmarked for demolition were located in extremely close proximity to the medieval wall. Bespoke scaffolding was designed and installed by our specialist subcontractor to ensure the wall was protected at all times during the demolition works. The initial programme of works factored in time for archaeological digs to take place. However, the amount of time allocated has been extended due to some amazing items being found. 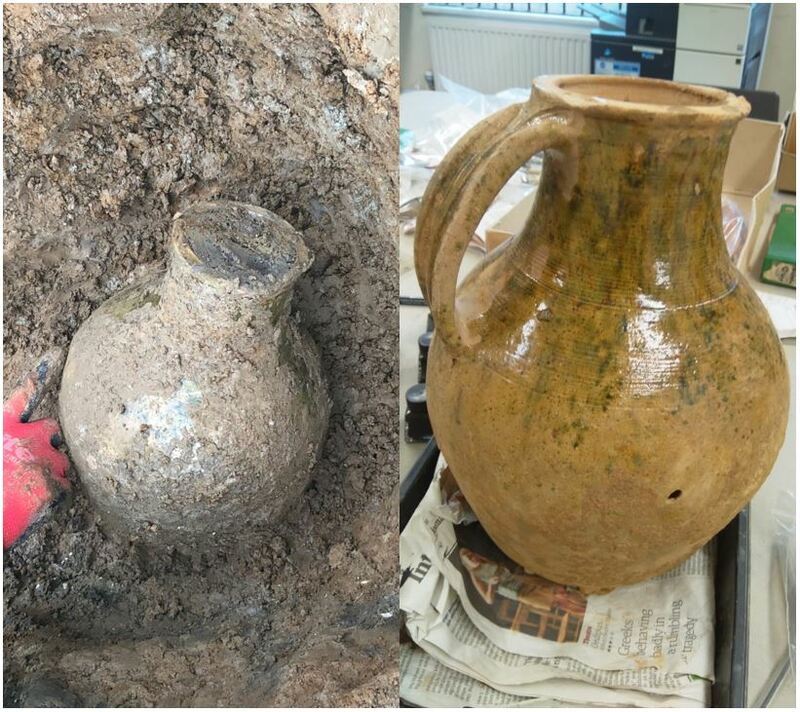 Conducted by the Southampton City Council Archaeology Unit, the dig brought up a 14th century stone cannonball, a 15th century jar which once held liquid mercury, and a 17th century plate. And, most amazingly, they found a completely intact pot which, according to the experts, is estimated to be around 1000 years old. This one will be going straight into a museum!